Cosmetic dentistry is the specialized field of dentistry concerned with improving the aesthetics and function of your smile. With cosmetic dental services, teeth that have been decayed, damaged, lost, or stained can be restored to their former glory, giving you a whiter, brighter, and more even smile. Cosmetic dental services have been proven to increase patient’s self-confidence, restore their chewing and speaking function, and convince them to smile more. Composite Fillings: Composite fillings are made up of a composite resin that matches your tooth’s natural color and makes fillings indistinguishable. They are especially beneficial when having fillings placed on teeth that are easily visible. The composite resin can also be used for bonding. Cosmetic Bonding: This is one of the most affordable and easiest options available for correcting minor structural defects and discoloration. Cosmetic bonding uses the same composite resin for fillings to improve a tooth’s shape and color by molding this resin directly to the tooth. It can be completed in a single office visit, is affordable, and can eventually be replaced by other restoration methods in the future. Crowns & Bridges: A dental crown is an artificial cap that is placed over the surface of damaged, decayed, or discolored teeth. A dental bridge is a series of crowns joined together that fit over areas with a missing tooth or teeth. Both can provide protection against tooth sensitivity and can restore chewing function, especially when replacing a missing tooth or teeth. They can also prevent your teeth from shifting. Dentures: Dentures are also used to replace missing teeth. Traditional dentures sit atop the gums and must be kept in place by a special adhesive. Partial dentures also sit atop the gum line, but are usually kept in place by other teeth. Implant-supported dentures use dental implant technology and are held in place by artificial tooth roots. Teeth Whitening: Another affordable cosmetic dental option, teeth whitening brightens your teeth’s color through bleaching the outer layer and removing stains from the inner layer. Veneers: Veneers are thin shells that sit atop the front-facing surface of your teeth and are used to correct structural defects as well as discolorations. Because they require enamel modification, they are a permanent restoration option. You can combine multiple cosmetic dental treatments to obtain the results you desire. In fact, the combination of certain cosmetic dental treatments may better address your treatment goals while saving you money at the same time! How do I know which cosmetic treatment to choose? What do you want your cosmetic dental treatment to accomplish? Do you want to correct the color, shape, size, alignment of your teeth, or all these aspects? If you could change ONE thing about your smile, what would you change? Are you looking to restore function as well, or just to improve aesthetics? 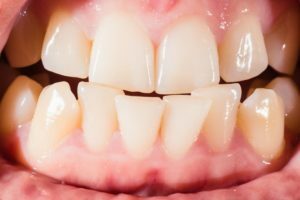 What should I expect during cosmetic dental treatment? Your expectations during cosmetic dental treatment will depend upon the type of treatment as well as the amount of treatment being performed. For example, treatment on a few teeth will have different expectations than an entire mouth makeover, just as the expectations for teeth whitening would be much different from expectations for dental implants. Since cosmetic dental treatments have such a wide range of treatment expectations, these expectations will be thoroughly discussed with you at your consultation. 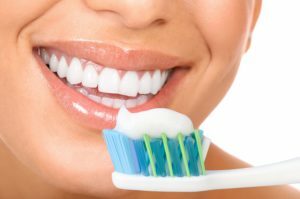 Will cosmetic dental treatment improve my oral health? Yes! Although cosmetic dental treatments are primarily recognized for their aesthetic benefits, they actually offer many health benefits as well. For starters, correcting structural defects will allow your teeth to function better. However, teeth that are properly shaped and aligned are also easier to keep clean since there is less spaces for bacteria to get trapped. In addition, certain treatments, like dental implants, can actually prevent bone reabsorption and keep your jaw bone healthy. How much do cosmetic dental treatments cost? Cosmetic dental treatments have different costs depending on the type of treatment and your individual treatment plan. The good news about cosmetic dental treatments, however, is that there are many options available to fit every budget. Also, some dental insurance companies may offer partial coverage for certain services and our office provides financing plans to help you get the smile you’ve always dreamed of. To enhance your smile with cosmetic dental services, schedule a consultation with Dr. Shadi Heidarian of Heritage Park Dental today! Heritage Park Dental serves Palo Alto and the surrounding communities.